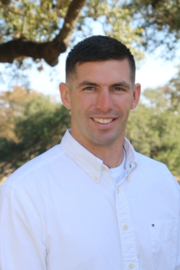 Jonathan Bowman joins the real estate industry from the United States Military. During his tour around the country, Jonathan bought and sold many of his own homes, including completing renovations on his current home. This is when he realized how much he enjoyed real estate. While he primarily focuses in the Harker Heights area, Jonathan represents buyers, sellers, renters, and landlords all over the Central Texas Region. Firmly committed to the philosophy ‘quality, not quantity,’ Jonathan takes on a project only when he can bring the full measure of his attention. Known for his integrity and equanimity in difficult situations, Jonathan's motto is "Always, In All Ways". Jonathan served 11 years in the Army and savors the rich history of the Military and how this translates in his own life. His time in the military brought forward his greatest characteristics, including selfless-service, integrity, and personal courage. Along the way he met many great people and is honored to be able to give back to others. Born in San Diego and raised in Detroit, Jonathan has seen many parts of this great country and the world. Jonathan’s experiences have created a cultural understanding second to none. Jonathan’s interests include spending time with his wife Alexandra and devoting time to his three daughters Madisyn, Lillian, and Peyton. Additionally, Jonathan enjoys playing and watching, football, basketball, and most importantly GOLF!